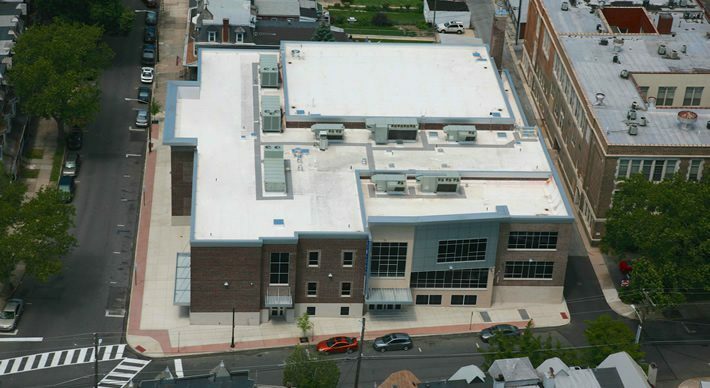 As a leading commercial and specialty roofing contractor that’s been serving customers for over six remarkable decades, GSM Roofing is passionate about handling your roofing and related needs with quality, safety and great service. Our long-standing customers consider us the one partner they can turn to when they have a roofing challenge. So whether you have one building or 100 buildings – a simple roof need or a complex one – you can put your trust in GSM. Our roofing services division prides itself on meeting any roofing challenge. It’s the hallmark of our success. We understand the complexities of re-roofing, and can help you with every step of the process. The roof is a critical element of any new construction project. We’ll help you choose the right one. Need to repair or install a new roof as part of your restoration project? Our team has the expertise. Our master craftsmen have decades of experience and can provide unmatched custom metal fabrication.